sailboat. 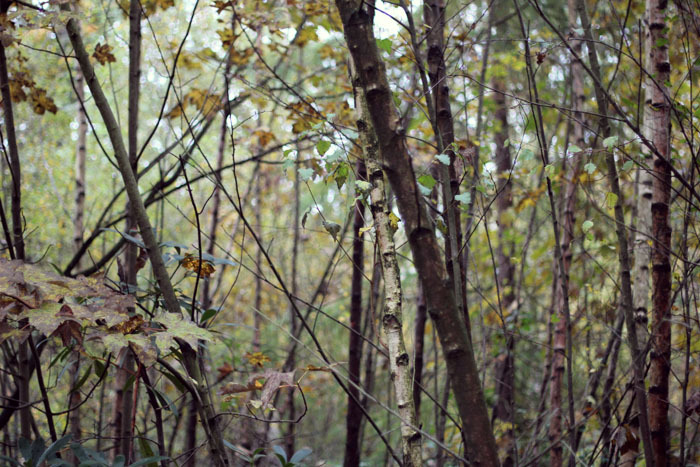 : What I Wore: Autumn. It feels like forever since I last posted an outfit of the day but I figured my usual pyjama attire wouldn't really cut in the world of fashion blogging, although my penguin pj's are mighty amazing I'll have you know! 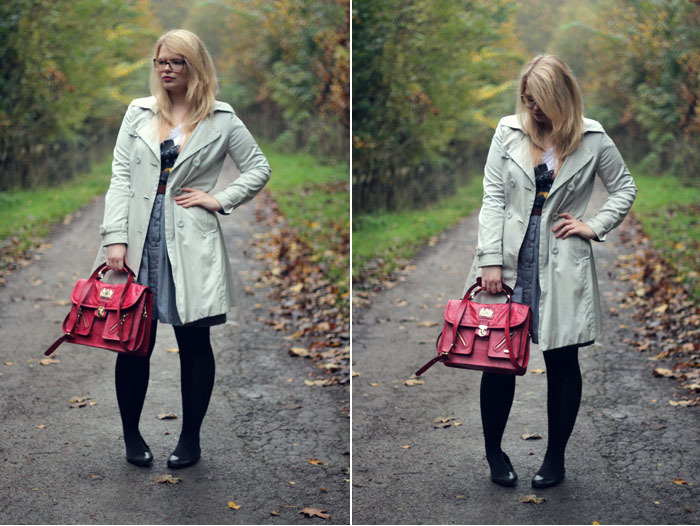 It's no secret that Autumn is my favourite season and I've been waiting to wear my beloved trench coat for ages. It's from Primark a good few years ago now and although it's seen better days, I think I'll get another season or two out of it. I love that classic pieces like this never get old or go out of style. Simplicity is key sometimes! My tee was a beautiful gift from the guys over at Hero&Cape. If you haven't checked out their store yet, I can guarantee that you're missing out. They take basic, but beautifully cut tees, and add their own hand printed graphic designs to them, transforming them into something super cute and stylish at the same time. 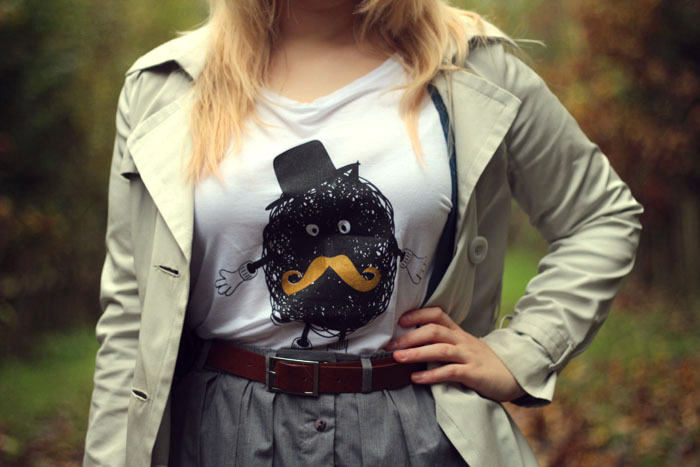 This little gold moustache man tee instantly caught my eye because he's so cute! His bowler hat is truly spiffing ol' chap! 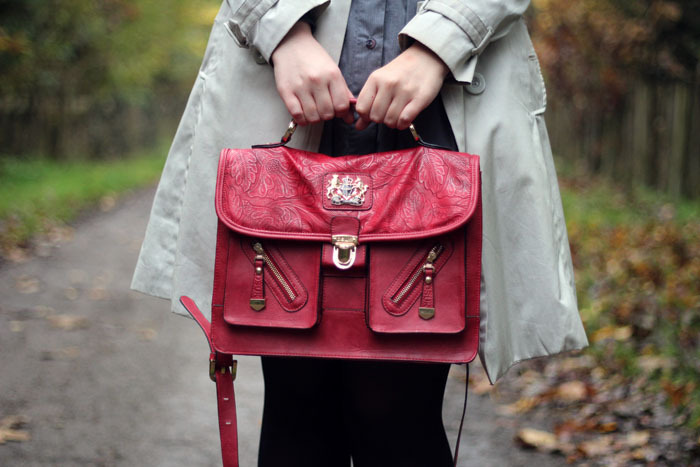 This beautiful satchel bag from DSUK adds a small 'pop' of colour to an otherwise pretty neutral outfit. It's structured and simple but it also has lovely intricate details that gives it a little bit of extra dimension. The red colour is bold yet understated at the same time, it's the most perfectly appropriate colour for Autumn and I think this is going to be my staple bag for this season. Yesterday we went to our local garden centre where they've just opened their Christmas shop and it was like stepping into a winter wonderland. I am so excited for Christmas this year and I'm already planning how I'm going to decorate our house. Too early? Perhaps. But Christmas is just the best! 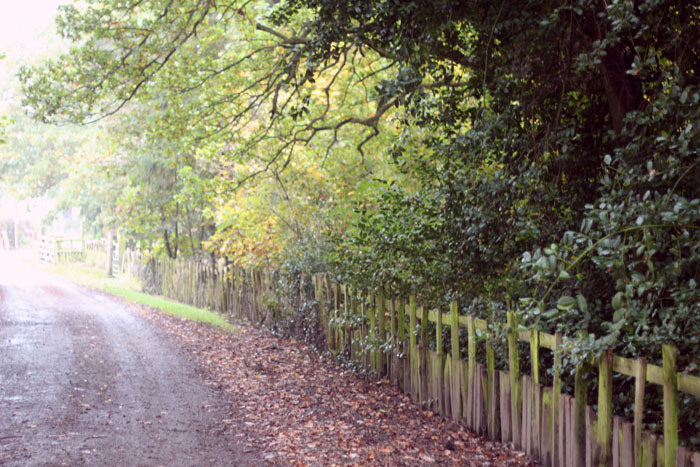 What is your number one must have item for the Autumn & Winter? Aww, this is such a sweet outfit. It could have been quite formal and 'office-y' with the trench and pleated skirt, but you've made it really fun with the motif tee and bright bag! I really like your bag! For Autumn/Winter I can't live without my scarves! Lame I know! 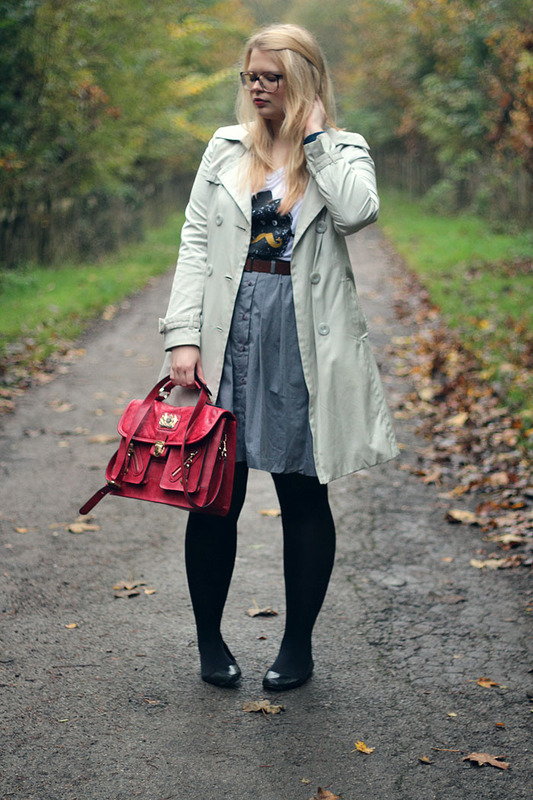 I really like your trench, shame its from a few years ago. 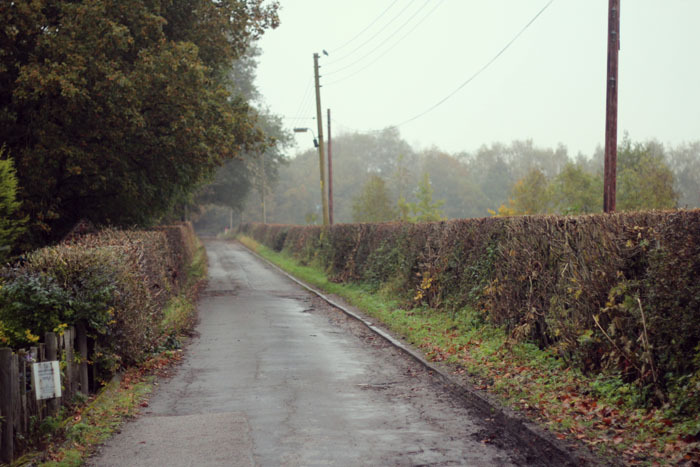 The pictures are cute, very autumnal! Gorgeous bag, love the colour. 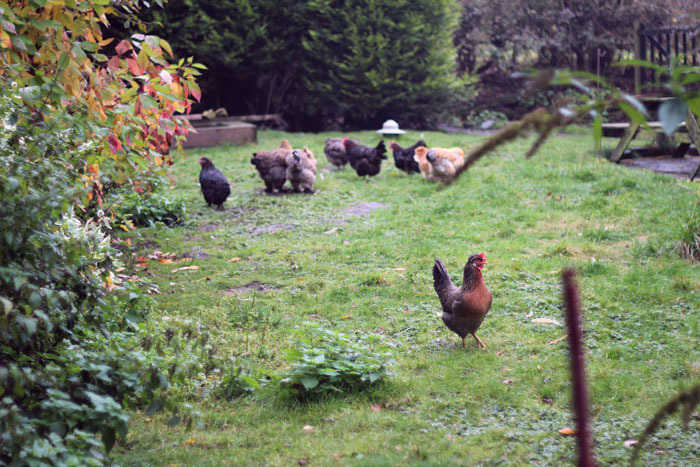 And great set of photos. Your hair is such a beautiful blonde! I love your outfit <3. Great pictures! I also have a Hero and Cape tee. I love your cute t-shirt! Aaw I used to love the Christmas Shop at the garden centre when I was little. I used to want to buy all the baubles and decorations! I love the trench coat..some a great staple piece! I really want one now! I love your bag! It's so pretty and cute. You looke lovely :) Also your pictures are really great quality! May I ask what camera you use? 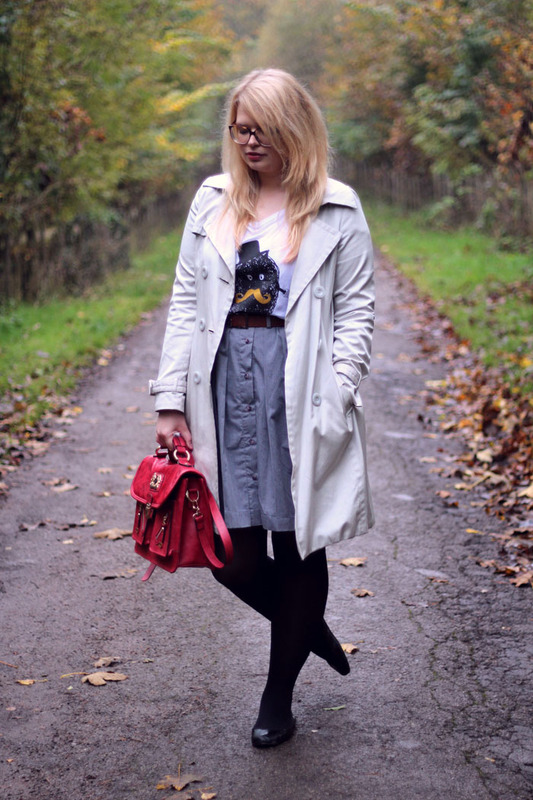 great bag, and your tee is too cute! love the 3rd shot of the trees! This Hero & Cape tee is the cutest!! I love the satchel! Such a gorgeous colour too. I walked past Next the other day and noticed all the Christmas items making an appearance, ee I love feeling festive!